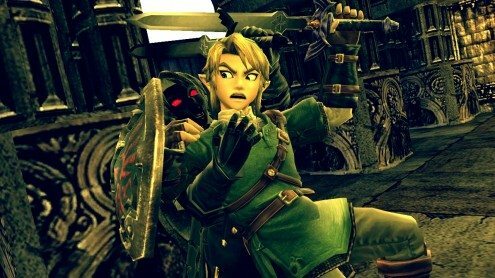 There is the chance that Nintendo may approach Retro Studios, or similar developers, to collaborate on the next entry within The Legend of Zelda series, according to comments made by Shigeru Miyamoto. Miyamoto explained, during an interview with Wired, that he could see in future that Nintendo would work alongside Western studios on some of its key releases, as they had done with Mario Kart 7. “People often say that videogames made by Western developers are somehow different in terms of taste for the players, in comparison with Japanese games”, Miyamoto explained. “I think that means that the Western developers and Japanese developers, they are good at different fields. And that resulted in a different taste in [their games]. Mario Kart, I believe, was good in order to express that kind of different taste because we have many kinds of different courses for the Mario karts to run and race around”. He added, “As you know, we have already collaborated with Retro for the Metroid Prime series in the past. And I think when we talk about any other franchise, Zelda might be a possible franchise for that collaboration”. Retro Studios had aided Nintendo EAD in regards to the design and art for Mario Kart 7, whilst they focused on gameplay and controls.